While wireless is most often considered the realm of laptops, desktops need wireless love as well. After all, not everyone can place their desktop computer right next to their router, and not everyone wants to. Houses with multiple desktops and multiple rooms are also likely to want to use wireless as well, as it is a relatively easy and common networking solution. 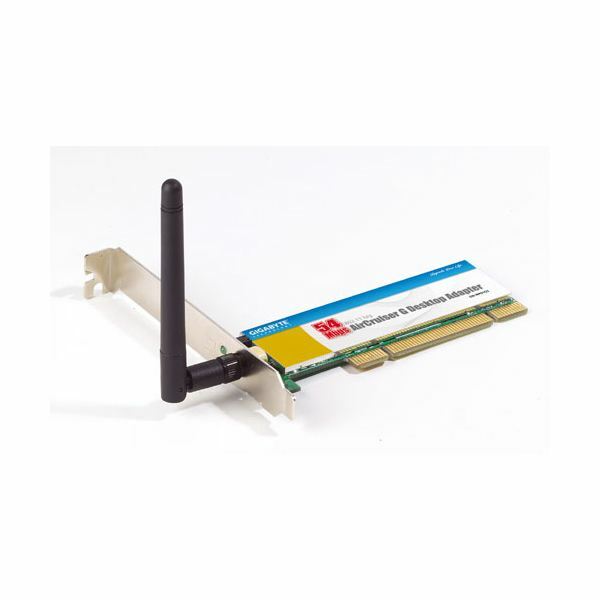 There are a few options for adding wireless to a desktop, and one of those is buying a PCI wireless card which is placed inside a PC. These cards offer the benefit of being placed inside a computer, meaning that one doesn’t have to worry about losing a USB doggle. They also tend to have better reception then USB wireless devices. The three wireless cards below are all good bets for anyone looking to convert to desktop for use on their wireless network. Looking for basic? Then the Gigabyte GN-WP01GS the PCI wireless adapter to look at. Thin and simple, the card consists of nothing more than a piece of circuit board about four inches long, a row of PCI connectors, and an antenna. It is only capable of 802.11b/g and so it is not the fastest wireless solution on the block. That said, the simple installation process does not install the complex wireless networking software which is found with some adapters from companies like Linksys and Netgear. Users looking to keep the amount of software running on their desktop to a minimum will appreciate this. The biggest perk of the Gigabyte GN-WP01GS, however, is price. Available online for well under $20 dollars, it is one of the cheapest ways to connect a desktop to a wireless network. It gets the job done without any fuss, and that means it is an excellent choice for basic users. 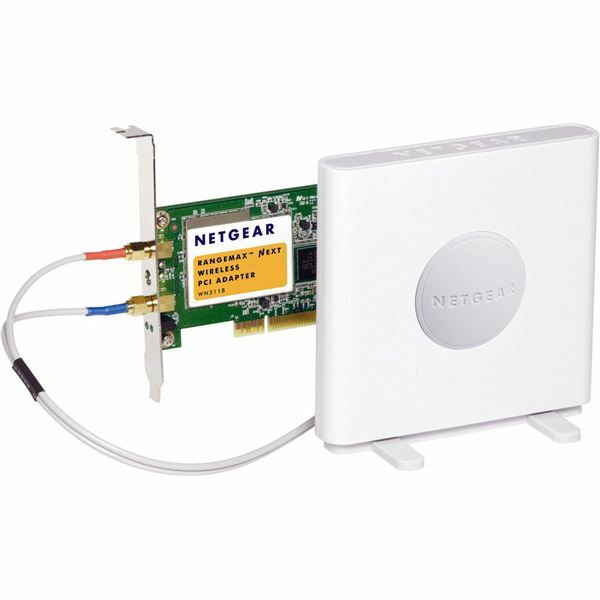 Netgear’s WN311B is the opposite of the Gigabyte adapter. The WN311B comes with a wealth of accessories which allow the antenna to extend to a white box which can be positioned at different locations around a PC. This can in some cases be a crucial feature because there are bound to be dead zones where a wireless network has difficulty reaching. The Netgear WN311B supports the latest 802.11b/g/n specifications and also comes with a Touchless WiFi Security setup which allows for creating a secure wifi network without messing too much with the gritty details of encryption keys. Of course, these extra features don’t come for free. 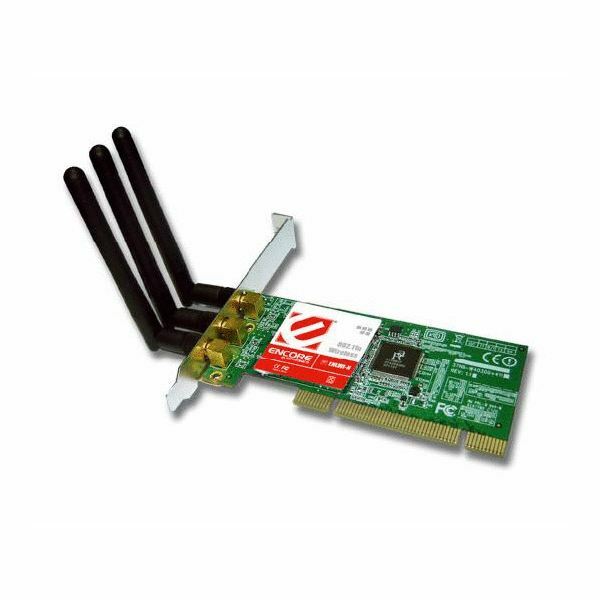 The Netgear WN311B usually runs between $60 and $70 dollars, making it one of the most expensive PCI wireless adapters available. Some users are sure to be turned off the by extra Netgear software, as well. They do have the choice not to install every piece of software, but then it might be better to purchase an adapter which does not include such utilities in the first place. Placed smack in the middle of the Gigabyte and Netgear options, the Encore ENLWI-N provides a decent price but also includes support for the wireless N standard. As such it makes a nice middle-ground between the two previous options. Encore is a lesser known brand, and they don’t go out of their way to make setup simple by providing additionalsoftware. The product ships with little more than the drivers and the adapter. As a result, it costs around $30 dollars – much less then the Netgear. That’s not to say everything about the Encore ENLWI-N is great. The three-antenna setup seems to provide good reception but can seriously block any ports nearby. There have also been some users complaining of problems with 64-bit versions of Windows 7. Of course, Windows 7 retail versions have not hit stores yet, so it is likely that problem will be solved in the meantime.